Widely acclaimed designer Lujac Desautel has designed a new yacht boat, the Salt Yacht which has taken the concept of sailing boat to a whole new level. One is sure to get spellbound by the beauty of Salt. It is a 55-metre Glass vessel that provides the most exotic facilities for leisure sailing. The design, although simple and modern but took its references from old architecture of history. Apart from the design, the yacht contains every item of luxury from Salon to spa to restaurant. 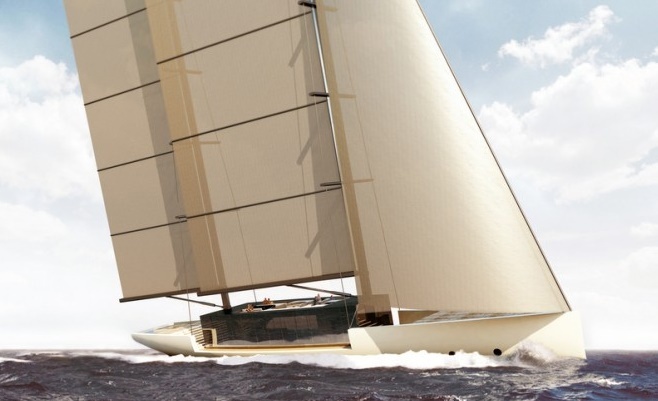 Check out some of the exquisite designs of Salt Yacht. This is the Salt yacht salon. Now you can find a strong correspondence of the architecture of the yacht with that of history. 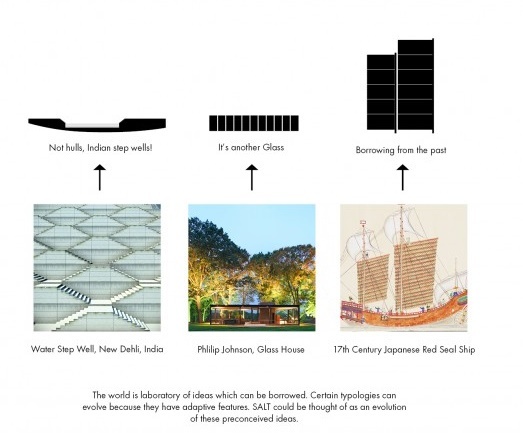 The steps used in Salt Yacht, the mast and the glass have been adapted from most famous pieces of architecture. The steps have replaced the usual hulls with the Water Step Wells of New Delhi, India. The mast design has been crafted from the 17th Century Japanese Red Seal Ship whereas the glass design has been adapted from the famous Philip Johnson, Glass House. The design of the yacht has been made as simple and flexible as possible with light weight structure and environment friendly design. The Salt yacht consists of a Central living space. this living area is guarded by the historical Japanese ship like masts. Now the two side beside the living area is chopped off as shown in the figure. The purpose is to provide an unobstructed view. 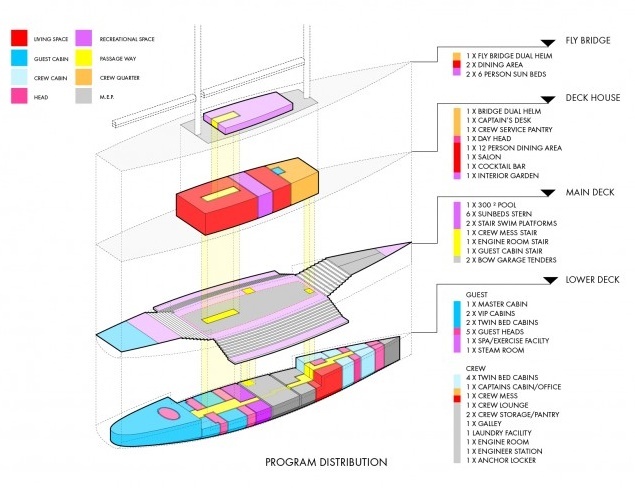 The multilevel plateau is another beautiful addition to the yacht. Other features include a 7m and a 5m tender which are garaged in the foredeck. 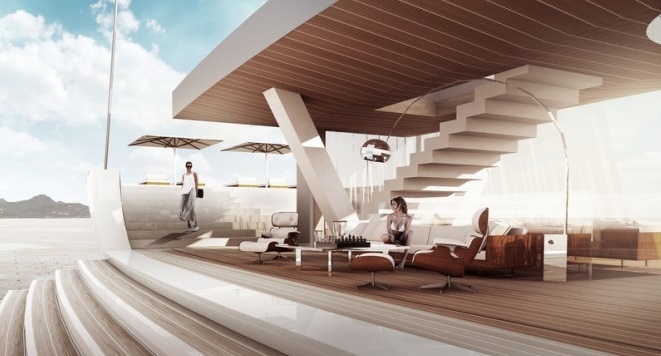 Salt yacht has glass which can convert the deck house into a beach side cabana. Spa, Salon, Private gathering banquet halls are also included in it.